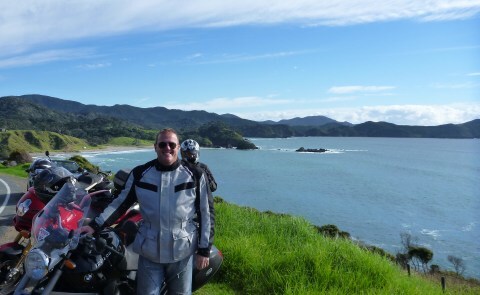 A big day of riding today from Russell to Thames, way past Auckland. We headed out early and rode some beautiful roads in perfect weather through the Russell Whakaparra Rd down into Helena Bay and then onto Whangarie. Jimbo, he is prettier with his helmet on! 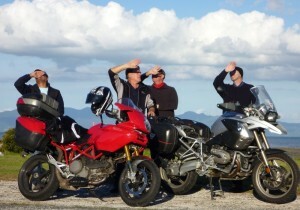 The lads split up here, as we headed towards Auckland and beyond down the State Highway and then the Freeway. I was with Jimbo, which was a very smart move because he had a GPS. Nothing worse than a Freeway to ride on, we exited off the turnoff to Te Kauwhata and had a beautiful ride through farmland into Waitakaruru, Pipiroa and into Thames. 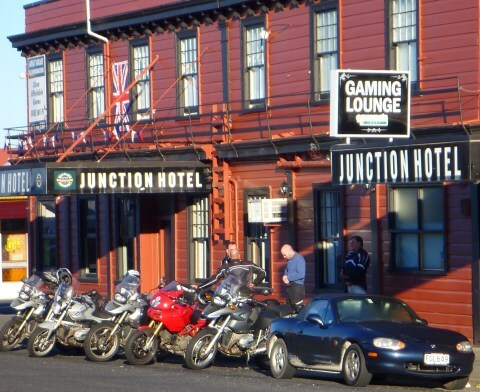 We quickly found the Junction Hotel and then had some great news. The other lads had broken down and were a few hours away. Probably looking for Superman to fix their bike! 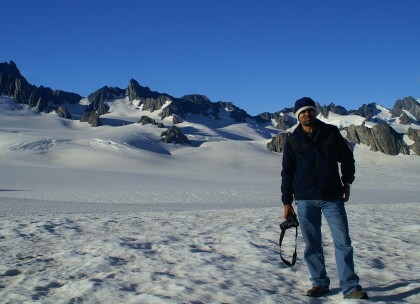 We didn’t care where, because by this time Jimbo and I were in the bar, drinking beers and eating mussels. They could have been on the moon for all we cared! 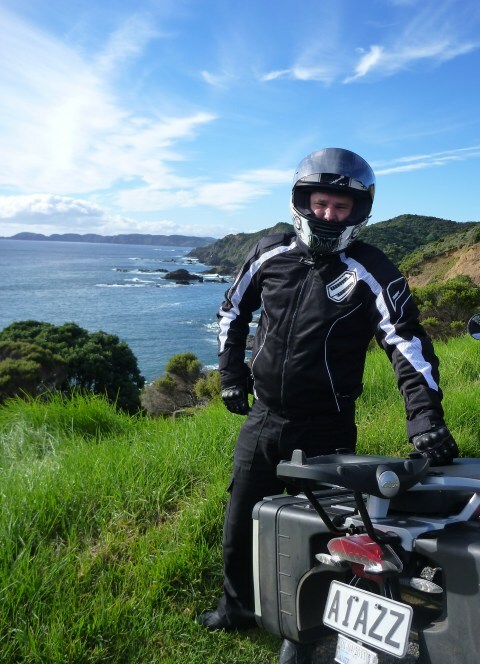 So whilst Jimbo and I tucked into a 4 course feast at the hotel – sensational food – the other guys were on the side of the road awaiting the arrival of Aiden from Te Waipounamu Motorcycle Tours. He soon arrived on his white horse/white van, swapped the bike for a new one and the lads were off. With lovely timing they arrived at the hotel just before the kitchen shut and we ordered them dinner while they dropped their gear in their rooms. Downstairs they came looking for cold beers and hot food and the Junction Hotel obliged. We have a game where at the end of each meal everyone has to guess what the bill is. The person closest to the amount doesn’t have to pay. Amazingly, Jimbo and I, despite being the only ones who knew how much we’d had to eat and drink were the furthest away! That may have had something to do with the 1,000 beers we’d had. After dinner we adjourned to the bar, where the barman Dave looked after us all night. Then The Night Turned Bad – Pool Shark Strikes! In the bar we met Jo and her lovely daughter Sara. Jo was a 30 year old pool shark from Seattle and proceeded to give me a beating in pool. The worst bit about it was the condescending “Oh, bad luck Brendon” when she potted the black.